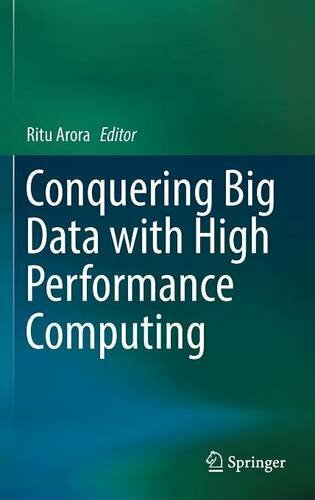 This book provides an overview of the resources and research projects that are bringing Big Data and High Performance Computing (HPC) on converging tracks. It demystifies Big Data and HPC for the reader by covering the primary resources, middleware, applications, and tools that enable the usage of HPC platforms for Big Data management and processing. Through interesting use-cases from traditional and non-traditional HPC domains, the book highlights the most critical challenges related to Big Data processing and management, and shows ways to mitigate them using HPC resources. Unlike most books on Big Data, it covers a variety of alternatives to Hadoop, and explains the differences between HPC platforms and Hadoop. Written by professionals and researchers in a range of departments and fields, this book is designed for anyone studying Big Data and its future directions. Those studying HPC will also find the content valuable.